Hi, my name is Avah. I am 11 years old and I live with my mum, dad and brother Tom. I'm a School Captain this year and I hope that this year will be a good year for me. I also hope I can achieve higher in maths. My hobbies are acting, drawing and singing. I applied for this position so that I could understand people better around the school with their problems and assist them. My name is Angelo and I am 11 years old. I live in East Bentleigh with my parents and my sister. I am one of the School Captains. My hobbies are playing soccer and playing PS4. I applied because I want to help grow the school and make it better. I hope to achieve many things, but my most important thing is making everyone happy within the school grounds. 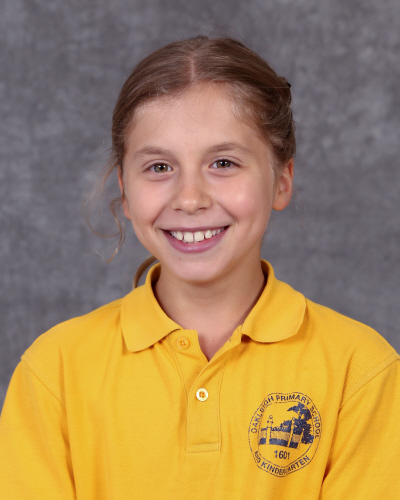 I am 11 years old and I live in Oakleigh with my two sisters, parents and dog. I am one of the school Vice-Captains this year. Some of my hobbies are playing football, netball, drawing and reading. I applied for a Vice Captain role because I thought it would teach me a lot about responsibility and working to make our community a better place. What I hope to achieve this year as a Captain is making sure students love school and have fun while learning. Hello, my name is Nadila and I am one of the Vice-Captains for 2019. I am 11 years old and live with my parents and my sister. Some of my hobbies include playing musical instruments and art. I also play sports such as tennis and swimming. The reason I applied for this position was because I wanted to give back to the school community for everything they have done for me. Something I want to achieve in 2019 is to make every student feel welcome at our school. I also want to encourage more people to have a positive mindset about school and learning. My name is Alice. I am 11 years old. I live in a family of 6 with a twin sister, Leila, and my two older sisters Emma and Sally, and a dog named Cookie. My hobbies include sport and art. I am a Vice Captain at Oakleigh Primary School. I applied to be a Captain because it can help me with public speaking and I like to help others if they struggle. By the end of the year I hope to become more confident. 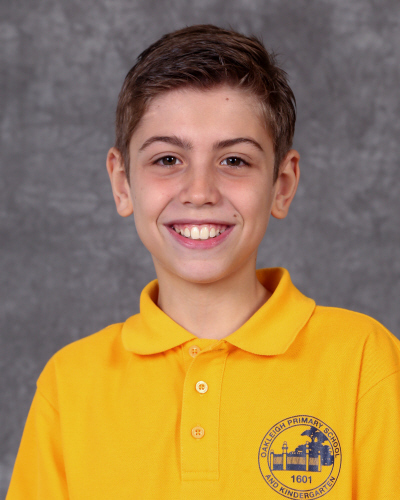 Hi, my name is Josh and I am 11 years old and I am one of Oakleigh Primary School’s Vice Captains. I have a sister and a sausage dog called Kobe. I applied for this role because I have had experience as a Captain and I have also been at the school since Kindergarten so it meant a lot being a Captain. As a Captain I will try to make the school an even better place to learn. Hi, I'm Leila. I am one of the Vice Captains of the school. I am 11 years old and I have two sisters, one twin and my two wonderful parents. Some of my hobbies include: soccer, netball, gymnastics and swimming. I applied to help the school in many different ways and to make it a happier place to be. By the end of 2019 I hope that the school will be an even better place than it already is and I hope I will become more confident. 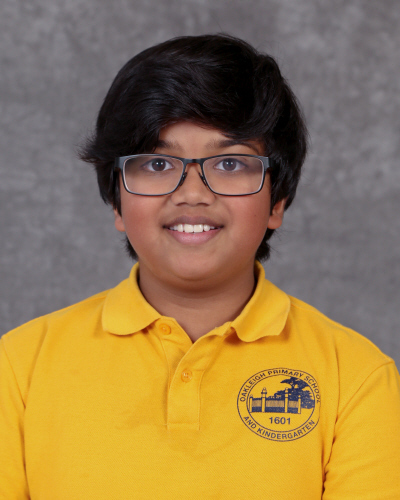 Hello, my name is Keshav and I am one of the School Vice-Captains for 2019. 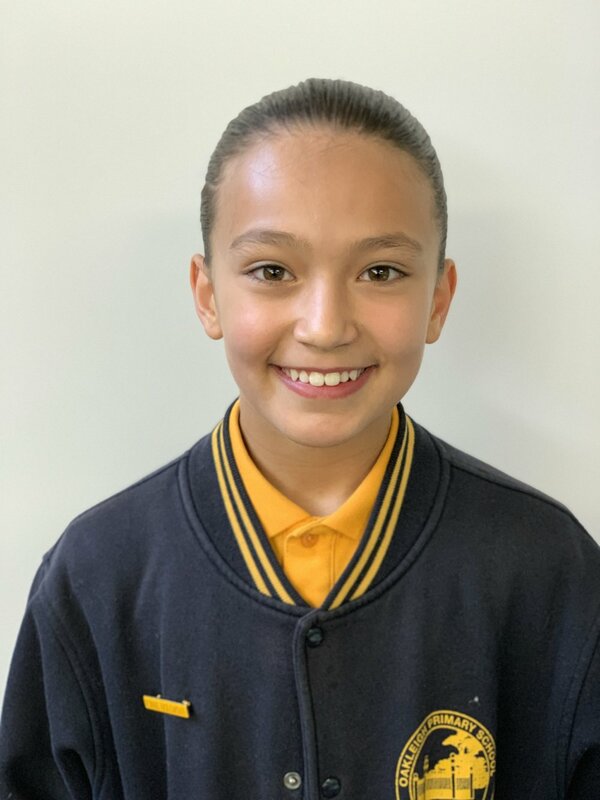 I am 11 years old and I live with my parents and my sister in Malvern East. My hobbies are playing cricket and spelling. I applied to help make the school even better in 2019 for the students. I hope to be a good role model to the junior school as well the seniors. I want to make every student feel loved and cared for as well as safe inside the school grounds. Hi, my name is Justine and I am 11 years old. I have a brother (Mark) and a sister (Phoebe) currently attending this school. The reason I applied for Vice Captain was because this opportunity could improve my leadership skills and social intelligence. My hobbies include dancing, piano, viola, swimming and karate. In 2019, I hope to, with the other captains, make the school a happier and safer place the learn. I hope to see you around the school soon. Hi, I'm Max and I am one of Oakleigh Primary School’s Vice Captains. I am 11 years old and I live with my two brothers and my sister. Some of my hobbies are basketball and gaming. I applied for the role because I’d like to make the school a better place. I want to make everybody have lots of fun and work hard. Hi, my name is Evangelia. I am one of the Vice-Captains at Oakleigh Primary. 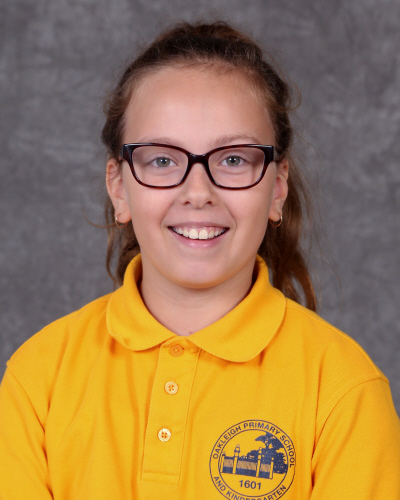 I am 11 years old and I have two other siblings at this school, one in Year 4 and one in Year 1, and I have an amazing mum and an incredible dad. I like doing gymnastics, dance, netball and swimming. I applied to help the school become a happier place and to help the school in general. What I hope to achieve in 2019 is to be more grateful for what I have and to be happier than I already am. My name is Zara and I am 11 years old. I live with my mum, my dad and my cat called Rocky. At Oakleigh Primary School I am a School Vice Captain. My hobbies are gymnastics, dancing, drawing and reading. The reason I applied for the job is because I wanted to experience how to represent people. I would like to help the teachers and students with any needs and stick up for anyone that needs help.